A new “A to Z” is in place at a Bradford and Airedale charity to help direct carers on their road to success and employment. The Carers’ Resource, which has a Shipley base, gives tailored support and information to unpaid carers, the people they care for and those in need of support. Its CReate service provides carers and clients with the skills and confidence they need to help them along their journeys, whether this is to get back to work, learn new skills or take part in new activities. Adam Dodd is the new CReate Carer Coach, has his own caseload and offers one-to-one holistic support to carers, including setting goals and action plans. Zahir Daji is the CReate Trainer Facilitator. He will be organising a programme of workshops for CReate, and will be offering focussed job-search support to carers, individually or as a group. “I look forward to providing the support needed to achieve carers’ dreams and aspirations. “This service has been created to assist carers to identify and achieve goals that will improve their quality of life. “Seeking employment may, for some, be one such goal, but for others this would not be a reasonable or realistic goal, and in such circumstances CReate can provide confidential assistance in a vast range of activities. “I hope to deliver workshops to train people so that they have the skills and confidence to pursue hobbies, study, learn IT skills and search for jobs. “I will also offer one-to-one job-search support and help with job applications and compiling a CV. 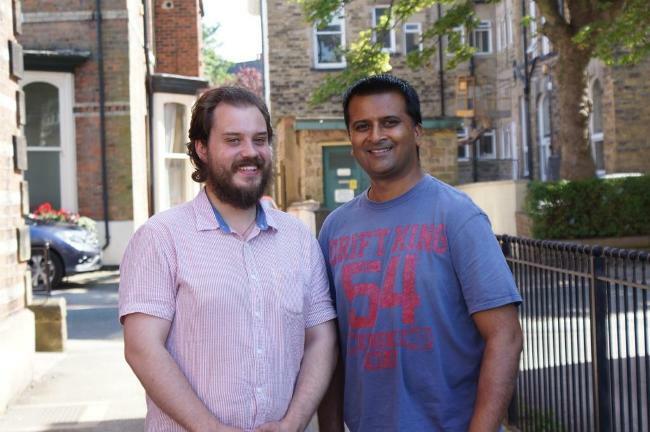 “It is wonderful to have Adam and Zahir in place and their roles will help us to give carers and clients practical and emotional assistance so they can fulfil their potential.